In March, the Mt. Crested Butte Town Council awarded $126,000 as part of its summer 2017 Admissions Tax Grant cycle, helping fund summer marketing efforts. Big winners included the Gunnison Crested Butte Tourism Association (TA), which received $40,000 for marketing the bike expo Outerbike, and the Crested Butte Music Festival, which received $20,000. The town received 13 requests for funding totaling $188,100. The council did not award any funds to the Big Mountain Enduro, which had requested $12,500 for marketing but provided no plan for use of the funds. 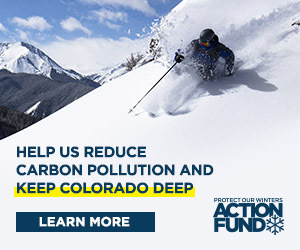 Funds are going to the Crested Butte Nordic Council for the Summer Grand Traverse; Crested Butte Mountain Resort in support of a visit from the Colorado Society of Association Executives; Travel Crested Butte LLC; and several other organizations. With the exception of the TA and the music festival, the majority of the awards ranged from $2,000 to $12,000. In making its $40,000 request at the March 17 council meeting, the TA—which has an annual budget of $1.4 million—emphasized that it had expected more marketing support from Crested Butte Mountain Resort, and found itself with a $40,000 shortfall. Outerbike is a bike and gear expo held three times a year, and the summer event is coming to Crested Butte this year, August 18-20. TA executive director John Norton explained to the News, “While we never formalized an agreement between the TA and CBMR, we expected that we would jointly fund the Outerbike effort as we did the Warren Miller movie, which was the ski area’s initiative that we came in on 50/50. “We learned only after we landed Outerbike that the ski area would not be funding the marketing effort except for about $3,500 along with some Outerbike tags in ads planned for the Elevation terrain park. This left us with a $40,000 budget deficit,” Norton said. He noted that they brought this up at the grant meeting to “incite sympathy” among councilmembers for the TA’s request. According to CBMR senior marketing manager Erica Rasmussen, there may be some misinformation circulating about CBMR’s participation in Outerbike. “[We are] thrilled we have been chosen as the destination for this exciting event that will surely be a great draw for our community in August,” Rasmussen said. She noted that the resort has included Outerbike on bike-related print advertising, and will be doing more digital and social media as the event approaches. In a letter to the council, vice president Erica Mueller later specified that the resort is waiving $18,000 in site fees for use of the parking lot and mountain bike trails. The CBMR trail crew is building a specific bike trail loop near the base area for bike testing, and discounted lift tickets are being offered in addition to other operations support. In addition, $3,500 in direct marketing funds have been re-appropriated to help the TA with Outerbike advertising and an additional $5,000 will be committed once the new fiscal year starts on July 1. A sales team will also be attending the spring Outerbike. Mayor Todd Barnes made a point of referencing the letter at the council’s April 4 meeting. “It’s a lot,” he noted of the support.